Are you looking to sell your home in Northwest Ohio or Southeast Michigan? If so, Real Estate 4U will give you the essential information that you need to know in order to get your house ready to put on the market. 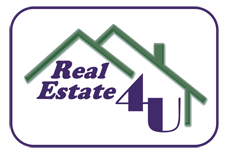 Once your home is listed for sale, Real Estate 4U will also work diligently to help you sell your home. Whether you’re selling the home that you live in or you’re selling an investment property, our agents will assist you and provide you with valuable information. The Toledo, Ohio and Southeast Michigan real estate markets are competitive and having an agent on your side who’s experienced with selling homes in the area is beneficial. If you’re looking to sell, contact one of our offices today. You can also find important information below regarding the process of selling a house. 1. Fresh Paint: A fresh coat of paint can go a long ways. Check interior walls and baseboards for paint that looks worn or dirty. For the exterior, check the gutter systems, window trims and main exterior paint surfaces. 2. Landscaping: The outside area is the first place that potential buyers are going to see when they arrive at your home. Make sure the lawn is mowed and trimmed, while also grooming flower beds and getting rid of weeds. Tree branches may also need to be trimmed. If you have a sprinkler system installed, make sure that it’s properly working. 3. Fencing: Check the fencing for any broken or damaged posts and apply a fresh coat of paint or stain. 4. Preparing the Garage: Make sure that the garage door opener works and clean the garage of any debris or clutter. 5. Driveways and Patios: Check for grease spots or dirty areas in the driveway and on patios. Spraying down the driveway and patios can help remove the dust and dirt. When the home is being shown to potential buyers, it’s a good idea to not have a car or cars in the driveway. Patio or deck furniture should be cleaned as well. 6. Swimming Pool: If you have a swimming pool on your property, make sure that all components are working properly and that the water in cleaned. Store pool chemicals out of the way. 7. Roof Condition: Inspect the roof for loose shingles, broken shingles and any visible leaks. Gutters should be cleared of debris too. 8. Front Doorway Area: The front door area should be clean and the door should be painted or stained to keep it looking good. Keep the steps and entranceway free of debris. 9. Air Conditioning and Heating: Check your central air conditioner to make sure it’s working. Install new filters and make sure the outside unit is clean looking. For heating systems, make sure the heating system is working properly and that a new filter has been installed. 10. Doors and Walls: Check to make sure that doors open and close easily. If they don’t, consider oiling them or fixing the hinges so that they work properly. Walls should be cleaned and wiped down. If there’s any wallpaper in the home, make sure that there aren’t any rips in it. 11. Carpeting, Tile and Flooring: Having the carpeting steam cleaned will produce the best results for having a clean looking carpet. Once it’s been steamed, make sure to keep up on the vacuuming to keep it looking in its best condition. For tile, replace cracked or broken pieces and keep it swept and mopped. For hardwood flooring, keep it swept and also check for any worn down or broken pieces of wood. 12. Window Condition: Keep the windows and screens clean. Broken latches or windows that don’t slide well should be repaired. 13. Electric: Repair any outlets and switches that don’t properly work. Also check for adequate lighting. Well lit areas will brighten up your home. 14. Plumbing: All plumbing systems should be working properly. Check all faucets to make sure that there aren’t any leaks. 15. Appliances: All appliances should be clean and in working order, especially the kitchen appliances. 16. Kitchen: A kitchen that’s bright, cheery and clean is a must. Keep all counters clean and de-cluttered. Check all cabinets, drawers and knobs to make sure that nothing needs repaired. 17. Bathroom: Keep the tub, sink and general area clean. Wipe down any mirrors and keep shelves clear of clutter. Caulk the tub if it needs it and wipe down the faucets in the tub and sink areas. 1. How much are property taxes and when is the due date for them to be paid? 2. What are the heating and cooling costs? 3. What are the gas and electric bills per month? 4. How much does water cost and what company provides the water? 6. The age of the appliances and whether or not they’ll be included in the sale of the home. 8. What are the fees for garbage removal and other private fees? 9. Are there any water issues in the basement? If so, what has been done to correct those issues and any warranties pertaining to that work. 10. Does the property require flood insurance? 11. What school district is the property in and are the schools of good quality? 12. Is mass transit available and if so, what is the cost? 13. Where are the public places of worship in relation to the property? 14. It is helpful if the buyer can provide a copy of the title or the abstract to the property to the listing real estate agent so it can be provided to potential buyers. It will help the agent submit the property to the MLS and it will help show potential buyers the ownership of the property. 15. A copy of any surveys or floor plans of the home. 16. If selling a condominium, it’s helpful to have the paperwork or information relating to the condominium documents available. 17. Are there any special assessments that need to be paid or homeowner’s association fees? If so, what is the cost and when are the payments due? 18. Is the property only taxed for land? (Common when a new home is being built). If so, what are the estimated taxes once the home is completed and occupied? 19. If there’s a homeowner’s association, what are the rules and guidelines that homeowners must follow? 20. Has a homestead extension been filed? 21. Is the property an investment property? If so, it’s helpful to provide lease information. 22. What communication services are available for the home? For example, is Internet available? If so, what kind of Internet? (Cable, DSL, Dial-Up etc.) Is there good cell phone reception in the home and on the property? Who is the cable or satellite provider? 23. Is there a well or septic system? If so, it’s helpful to provide documentation of the last time that the systems were inspected or cleaned. 24. Are there any restrictions on parking? For example, is street parking allowed or can a boat be left in the driveway? Also, is a shed or other storage options allowed to be installed on the property? 25. Are pets allowed? Some condominium or homeowner’s associations only allow certain types of animals. 26. Is the home or community a retirement community where certain age requirements must be met in order to purchase a home or property? 28. Have any environmental studies been done? If so, it’s helpful to include any documentation or results for those studies. It’s a lot of information to think about and gather, but the more information you have, the less questions a buyer will have to ask before deciding if the property is right for them or not. Who doesn’t want to sell their property quickly? Regardless of why you’ve decided to sell your property in Toledo, Ohio, Northwest Ohio or Southeast Michigan, our team of dedicated agents will assist you in selling your home. When it comes to selling a home, one of the most important things on the seller’s mind is the price that they’re going to list the property for. You’ve put a lot of time and possibly a lot of money into your home so you want to make sure that it sells at fair price. At Real Estate 4U, we will gather information from you regarding what the base price of the house was (when you purchased it) and then we’ll also look at any additions or modifications that you’ve made. These two steps are helpful in determining the selling price of your home. Of course there are other factors that go into determining price, such as the real estate market, what comparable homes are selling for and other factors, each of which we’ll discuss with you so that you’re informed every step of the way. One common pricing mistake that happens is that sellers will take the base price of their home, add in the dollar for dollar value of what they paid for improvements and then add a little more money on top of that for inflation. Sellers will then use this number as the asking price when they list their home for sale. The problem is that improvements made by the seller may not raise the price of the property dollar for dollar plus inflation…it may not even raise the price dollar for dollar. A modification or addition that you wanted may not mean as much or be needed by buyers who are looking at your home and due to this, you don’t always get back exactly what you put into your home when you list it for sale. On top of that, your home may sit on the market for months without any offers because potential buyers aren’t willing to pay extra money for the upgrades that you put into your home. How should a property be priced then? To get a good idea of how much to list your home for, an accurate appraisal and a CMA (comparable market analysis) should be completed. By having a professional appraisal and a CMA completed, you’ll have information that can help you price your property for sale. 1. Temperature: Keep potential buyers comfortable by keeping the temperature in the house at a good setting. If it’s warm out, make sure to have the air conditioning turned on and if it’s cold out, make sure to have the heat set at a comfortable temperature. 2. Fresh Air: While you want your home to smell nice, remember that some people are sensitive to candle scents and heavy air freshener scents. Keep any scents light and mild. 3. Noise: Don’t have a radio or stereo blasting while the home is being shown. Soft mellow music is fine, but you don’t want the buyers to be distracted with noise. 4. Valuable Items: Put valuable items away where people can’t see them or find them. If possible, remove them from the home all together. Remember, buyers are going to want to see all areas of your home, including storage areas and closet spaces. 5. Closet Spaces: Keep closet spaces clean and remove all clutter. Keep the closet looking as large as possible as it’s usually important to potential buyers. 6. Laundry Area: Laundry should be done and put away, but keep out a couple of fresh towels folded neatly. 7. Exclusions from Sale: Put away or remove any items that are going to be excluded in the sale of the home. For example, if you have a favorite lighting fixture, make sure to remove it before the home is shown or buyers could think it’s included and that can cause negotiation delays. 8. Trash: Remove trash containers from the home and from the garage area. 9. Pet Concerns: If possible, try to keep pets outside when the home is being shown. 10. Showing Agent(s): Let the agent or agents show the house. They are professionals and know how to properly show a home. 11. People: It’s common for homeowners and other members of the family to want to help show the house, but it’s better if residents of the home either leave or let the agent show the home without interference. 12. No Apologies: Never apologize for the house being messy. Buyers will understand that you may have been given little notice of the showing and that you did the best you could to prepare the home for it to be shown. 13. Keep Things Picked Up: So that you’re not caught off guard, try to keep the home picked up so that when a showing is scheduled, you’re not left rushing around trying to get it ready. 1. Gather all keys, garage door openers and security codes to turn over to the new owner. 2. Bring any and all operating manuals with you to the closing so that they can be given to the buyer. Examples of manuals include appliance manuals, air conditioning manuals, heating manuals etc. 3. Bring utility bills with you from the last 12 months so that the new owner knows what to expect to pay for utilities. 4. Hazard insurance should be kept and maintained on the property until the date the new owner takes possession or the date of closing (whichever the contract specifies). You may also wish to purchase extra insurance protection on your personal property to cover any loss during moving or transport. 5. Bring your existing mortgage information with you, including your payment book. 6. Bring your most recent property tax statement with you. 7. If your home is part of a homeowner’s association, bring all relevant information to the closing. This information may include laws and guidelines, along with dues and membership fee information. 8. Bring the house floor plan (if available) and the most recent property survey. 9. If the property you sold is an investment or rental property, bring current lease information with you to the closing. As always, if you have any questions about the closing process, don’t hesitate to contact your agent at Real Estate 4U.